Use the form below to send us inquiry for Atlas Copco parts you need. We'll prepare special offer for genuine Atlas Copco parts just for You. Appropriate Atlas Copco's part number contains 10 digits (spaces or dashes are allowed). Please include also compressor model and serial number if possible. Our Atlas Copco parts are genuine and come directly from Atlas Copco itself. Genuine parts are best possible money investment, with them you get optimal performance and extend life expectancy of your pneumatic equipment. 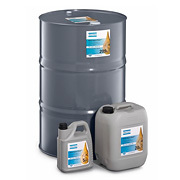 Original Atlas Copco compressor oils, including RIF, RXG, and RFGF. Available in 5l or 20l packages. Best prices from direct distributor. Browse manuals for various Atlas Copco compressors and equipment. 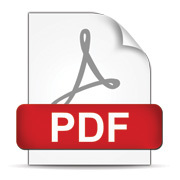 Download directly as pdf file. All kinds of air compressors available from Atlas Copco, get in touch with us by mail or phone for best possible discounts! Browse all Atlas Copco OEM spare parts available in our offer. Every Atlas Copco machine is a complicated system which require, sometimes even hundreds of different parts and elements to work together fluently and efficiently. If the working conditions are adjusted to the manufacturer's requirements, and maintenance is done regularly machine will work fine for long time, and there is nothing to worry about. But after many years, or rather thousands of working hours some elements of this system might simply use up. In those rare cases it is always advised to replace them with original parts. Only original parts give you guarantee that system will work again as efficiently as just after initial startup. In this category you can find parts to Atlas Copco's compressors (both screw and piston compressors), dryers, filters and other common devices. If you cannot find required part contact us we will send you best offer you can get. Screw compressor series (including GX, GA, GA-VSD). Medical screw compressors (LFX Dental). Marine compressor series (oil injected screw compressors - MAS series). We can provide you anything - filters, separators, dryers, screw units. We recommend using form above (and providing necessary part numbers and compressor models). Let’s start from the beginning, Atlas Copco as we know it was first named AB Atlas by its founder Edvard Franckel 144 years ago (in 1873), he was Swedish industrialist, politician and senior official at Swedish State Railways. Time passed, and in 1899 they started their first production of Air Compressors and later merged with Diesel Motors company. Atlas was the first company in the world to construct Air Compressor for broad consumer use. During the First World War, company growth rate went through the roof, mainly because of their air compressor branch. That was the case also with Second World War. This time Atlas growth was even bigger. Demand for pneumatics and diesel engines during this period was enormous and this allowed company to expand in these areas, it is a fact that their compressors and engines were used in the military during that time. After the war Atlas stopped producing their diesel engines to fully focus on pneumatics sector. The name Atlas Copco as we know today, became official in 1955 and is being used to this day. After WWII corporation started its international expansion starting with the acquisition of Belgian company named Arpic Engineering in 1956 which later become their major production facility. Another worth mentioning take over was French compressor manufacturer “Mauguière”. But expansion in Europe didn’t mean that Atlas had no desire for America, opposite their first big purchase was Worthington Compressors, company that specialized in producing parts and compressors. We are in the early 1980’s, and Atlas Copco is the world leader in pneumatics and rock drilling. In order to strengthen their position, even more, they bought Chicago Pneumatic Tools becoming leader in pneumatic tools and monitoring systems, it was a key component in order to own French, UK and USA markets. In the coming years up to 1997, there were several other acquisitions of popular companies of that period. In only to use original parts 1997 there was a breakthrough, Atlas Copco purchased Prime Service Corporation the largest and biggest machine leasing company in the USA. To this day they remain world leader in pneumatics and their Atlas Copco parts are being sold all over the world. With their compressors being so popular the demand for their parts increased and created aftermarket. According to Atlas Copco guidelines, it is advised to only use original parts. This will allow your company to avoid leaks in pneumatic systems and therefore losing money. It is always important to keep compressors in good condition and if possible use genuine Atlas Copco Parts. One of the world leaders in distribution of these parts is E-Pneumatic, our 15 years of technical and consumer experience allows us to find solution to every problem. Atlas Copco is a renowned name in the industrial world, the company was established in 1873 and from that day it has been serving the world for 140 excellent years. The company has created its market over 180 countries and is planning to expand more to help the industrial world. They have products that pass through a lot of tests and durable resources to finally be in the hands of the purchasers. Atlas Copco has been manufacturing products for sectors like mining and rock excavations, constructions, industrial tools and solutions, demolition and road building equipment and vacuum solutions. To provide ultimate satisfaction to their customers, they even provide customized services for them to help them maintain the products for their lifetime. How Atlas Copco cares about customers? The products they sell are self-sufficient as the buyer doesn’t have to go looking for individual parts from other companies. Atlas Copco has made it easier for them just to get them fitted by in-house professionals who are exclusively trained to deal with the problems of that machine. They have created products to go with hard industrial sectors where people will need sustainable tools as the conditions of working may not be very stable. Like in the mining sector they provide buyers with options of Drill Rigs, Rock Drilling tools, Ventilation systems, Loaders and truck with the options of diesel and electric. 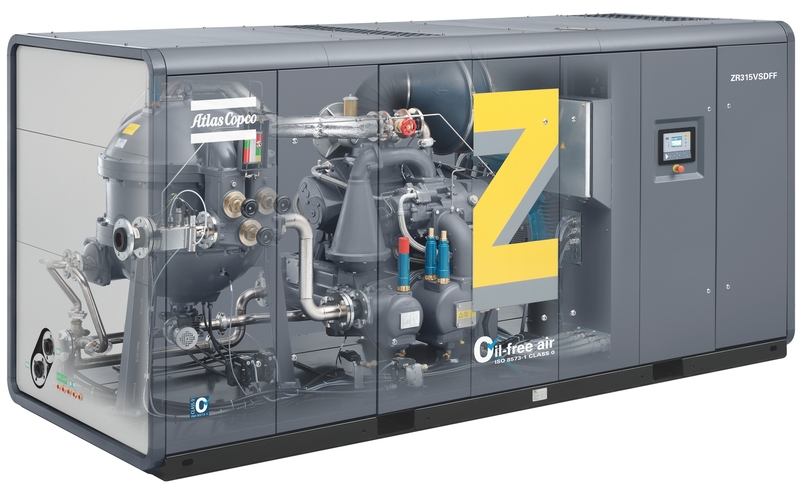 One of the key things that Atlas Copco makes is their Gas and Air Compressors which are trusted by all over the world. They provide all the services related to this sector; they provide help both offline and online to make the process easier and healthier. They give options like Oil Lubricated air compressors and Oil-Free air compressors to help the customer with their own need. Vacuum pumps are also provided by them. Other tools like air treatment accessories, blowers, dryers, oxygen generators, etc. all are found under the same roof. Compressor Filters and Separators have to be changed from time to time to keep the Compressor healthy. Filters help in purifying the air and prevent contamination. They help in making the machine durable and have less oil consumption. Atlas Copco is providing you with genuine parts to prevent breaking down of machines. Lubricants and oil are needed to keep the machine running as over time some parts may get hard. Atlas Copco provides customized lubricants based on the machines for their wellness. 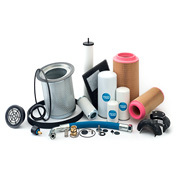 Service Kits can be purchased to maximize the lifetime of a machine to help them in the running smoothly. They come with high-quality spare parts. Purchasing from Atlas Copco is one of the reliable things an industrialist can do. They have all the basic and advanced needs under one roof and also provide service with the servicing kits if the customer requests to. Some may be skeptical about such a huge arrangement of products and may think that they are compromising on something but this is untrue, they have grown to such a point where they can easily make good products with specialized personnel.